At La Scuola di Eataly, we believe that the more you know, the more you enjoy. We want you to discover our food, our chefs, and the producers who inspire us. April 11: Discover wines from the Italian region on everyone’s lips – Piedmont! For one night only the wine and travel journalist Åsa Johanson will take us on a journey through the regions wines, steep wine yards and strong personalities. During the evening you’ll get to taste six different wines from Piedmont as Barolo and Barbaresco, and more! April 12: Discover one of the giants in the world of wine – Sicily! Åsa Johansson, wine and travel journalist, guides us this night only on a journey through the wine yards of Sicily. You get to taste six different Sicilian wines while Åsa shares here unique knowledge. Discover volcanic wines from Etna, the grape Grillo, a new modern version of Nero di Avola and more! Learn how to make the perfect risotto like an Italian! To make an authentic Italian risotto you need two things: high quality ingredients and an understanding of different types of risotto rice. During this one hour long course La Scuola’s chef teaches you how to make the perfect risotto. At the end of the class, we sit down together to enjoy the delicious dish that goes well together with both fish and meat, but also perfectly on it’s own. Kindy note this is not a hands-on course, and that it is in Swedish. How do you make fresh Italian pasta? We have the answer! The perfect fresh pasta dish is the result of high quality ingredients, a well-crafted dough and an understanding of how to pair pasta shapes with different sauces….but most of all, a great pasta dish is the result of practice! Join La Scuola’s chef in this interactive workshop where we will demonstrate how to make fresh pasta. Making filled pasta varieties such as ravioli and tortellini is both a good and fun way to sharpen your pasta skills! Let us show you that it’s easier than you might think! Kindly note that the course is in Swedish. 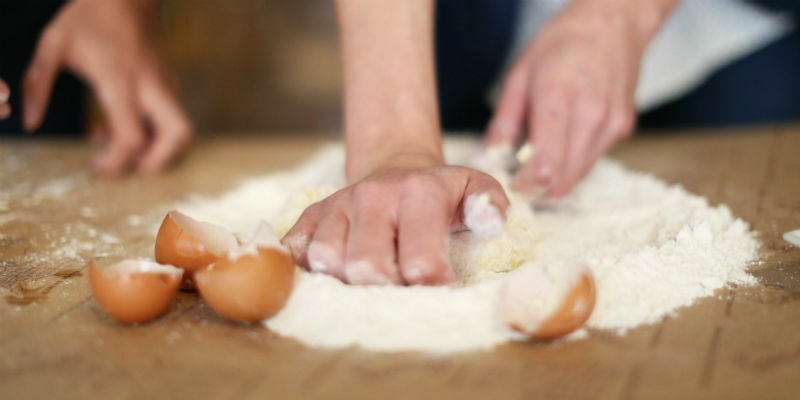 Get a taste of Italy and learn how to make your own gnocchi! In this hands-on class, join La Chef of La Scuola to learn more about this fully and delightful pillowy pasta and all its variations. 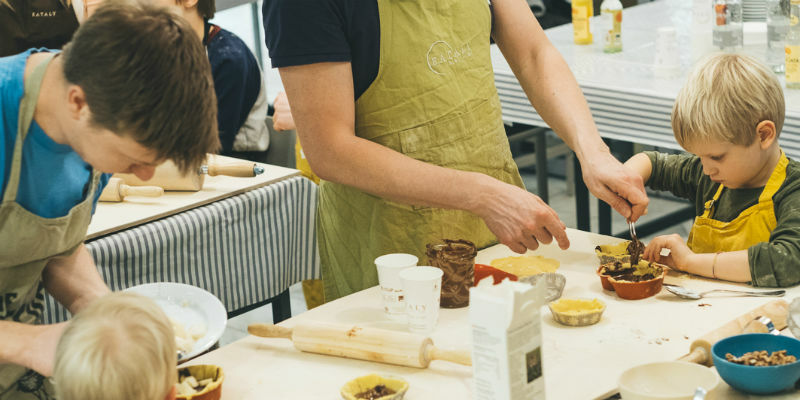 During this class, you’ll learn about the history, how to select the perfect ingredients to make your own at home, taste, and even get your hands dirty. Observe our Chefs as they demonstrate how to make the perfect gnocchi, which you will get to eat, while sipping on wine, paired by our beverage experts. Learn how to prepare the classic Italian dessert tiramisu! Join La Scuola’s chef and learn how to make authentic Italian pizza! To make the perfect pizza you need three things: knowledge, high quality ingredients and a well made pizza dough. Learn the whole pizza process from choosing flour and making the dough to picking the toppings. It’s a wonderful oppurtunity to spend time together and learn valuable techniques to use later in your own kitchen. Let us show you that it’s easier to make Italian pizza from scratch as you might think! Kindly note that the course is in Swedish. Learn how to make your own authentic Italian sausage – salsiccia! Michele Cavazza shows how Italian salsiccia is made, and engage the participants. We use high quality pork which we season with delicious spices and herbs from Italy. After the salsiccia is stuffed we end the course together, eating the newly made salsiccia together. No background knowledge is required. Kindly note that the course is in Swedish. Bring the family and learn how to make pizza together! Bring the family and learn how to make fresh pasta together! Learn the basics of the Italian sparkling prosecco with Eataly’s gastronome! 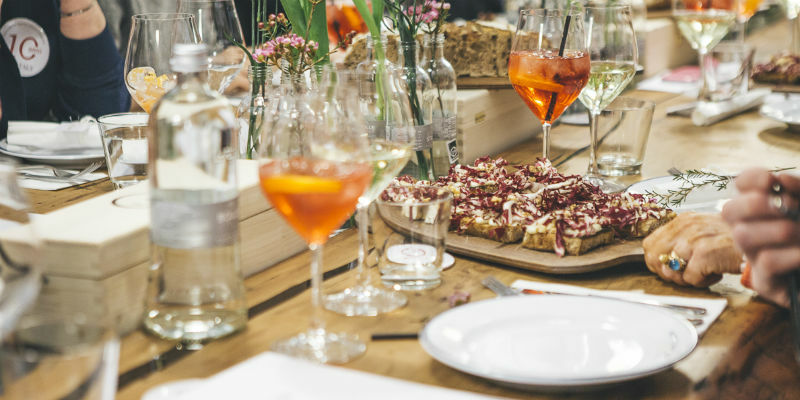 During the course you’ll get to taste three different types of prosecco, and enjoy some delicious Italian refreshments. Kindly note that the course is in Swedish. opportunity to learn about three selected Italian extra-virgin olive oil with La Scuola’s gastronome. 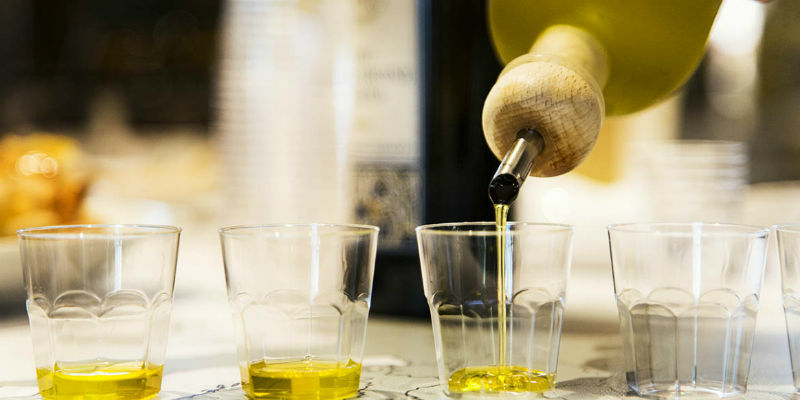 Learn about the difference between olive oils from different regions, how to combine the right olive oil to the right meal and all about olive oil production. After the tasting you get to enjoy lovely cicchetti – Italian snacks – which La Scuola’s chef arrange for you while you enjoy a glass of wine or non-alcoholic option. Kindly note that the course is in Swedish. Discover the Italian region considered to be the gastronomic heart of Italy – Emilia-Romagna! Nestled between the Alps and the Apennines, Emilia-Romagna’s unique nature take a big part in explaining its rich culinary tradition. The mist and long and rigid winters followed by hot and humid summers helps to make favored products as salumi, parmesan and balsamic vinegar. Discover one of Italy’s best kept secrets – Puglia! This region, set right at the “heel” of the boot, is rich in history and traditions, farms, fertile land, and has a generous climate that helps to make favored products such as extra virgin olive oil, golden wheat, juicy tomatoes, wines, and incredible burrata. During this three hour long course, you will learn the history and origin of the traditional regional dishes on the menu, and the traditions behind them. Enjoy a quick aperitif before we sit down together to taste the best of Puglia – paired with regional wines, of course! Kindly note that the course is in Swedish. Join us on a gastronomic journey through Sicily! With its rolling hills, volcanic mountains and coastal beaches that meet the sparkling sea, the southernmost region of Italy is rich in delicious food and drink that explains the nickname: “God’s kitchen”. With ever-present citrus aromas, Sicily embraces fresh fruits, vegetables, seafood, and beyond. The cuisine is celebrated for its flavorful, plentiful dishes founded on simple, readily-available ingredients. During this three-hour course, you get to know the history and origin of the traditional regional dishes on the menu and the traditions behind them. Enjoy a quick aperitif before we sit down to taste the best of Sicily – together with regional wines, of course! Kindly note that the course is in Swedish. During this theme dinner we take a trip through a region celebrated for its beautiful landscape, artistic heritage and rustic cuisine – Tuscany! Famous for its gastronomic delights as wines, extra virgin oil, pasta and dishes with focus on local products, it’s a popular region to visit to enjoy delicious food. Come and experience the gastronomic delicacies this famous region has to offer with us in La Scuola! In this three-hour course, you get the know the history and origin of the traditional regional dishes on the menu and the traditions behind them. Enjoy a quick aperitif before we sit down to taste the best of Tuscany – together with regional wines, of course! Kindly note that the course is in Swedish. Join us on a gastronomic journey through Sardinia! Welcome to Sardinia, a beautiful Italian island in the Mediterranean sea. With mountains, woods, plains, streams, rocky coasts and long sandy beaches Sardinia offers a varied gastronomic cultured with delicatcies from both terra e mare – land and sea. The island is home to over 3 million sheep and pecorino cheese is produced almost everywhere on the island. But there is a lot to discover – an island this big has traditional typical dishes in every region! During this three-hour course, we tell you the history and origin of the traditional regional dishes on the menu and the traditions behind them. Enjoy a quick aperitif before we sit down to taste the best of Sicily – together with regional wines, of course! Kindly note that the course is in Swedish. At Eataly we offer the possibility to reserve the school for group events. 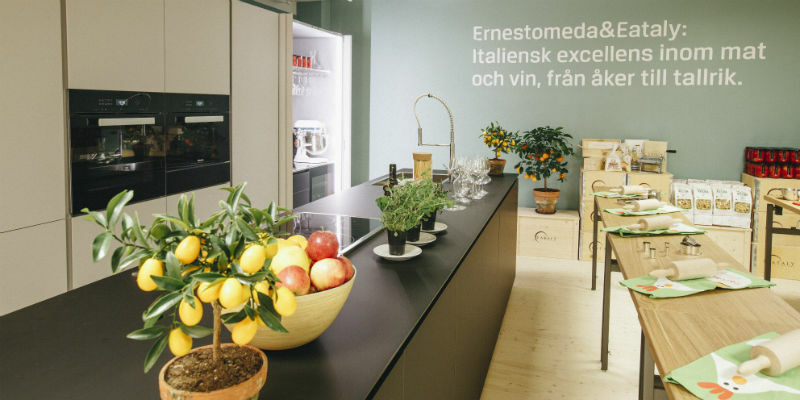 Please contact us by e-mailing lascuola@eataly.se for more information.